Last week, I took you on a January 2011 tour of the construction site for Aulani, a Disney Resort & Spa at Ko Olina, Hawai‘i. I know, I know. Yesterland is supposed to be about things that are gone, not things that are being built. Fair enough. Today, well spend most of the article touring a place thats almost gone. 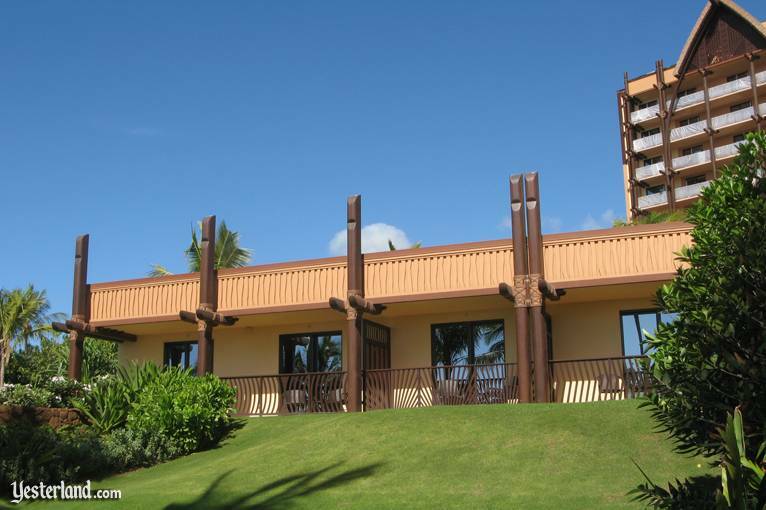 The temporary building that houses the Aulani model villa on the grounds of the resort is scheduled to be demolished in February 2011. If you look at a map of Aulani, youll see a wedding lawn in the lower left corner. The lawn is higher than the Ko Olina beachside walkway, so it should offer wedding guests a spectacular view of Lagoon 1 and the Pacific Ocean beyond it. Theres only one problem. If you now go to the location of the wedding lawn, theres a building there. It blocks the view completely. But if youre planning a wedding at Aulani, dont worry. The buildings short life is coming to an end. 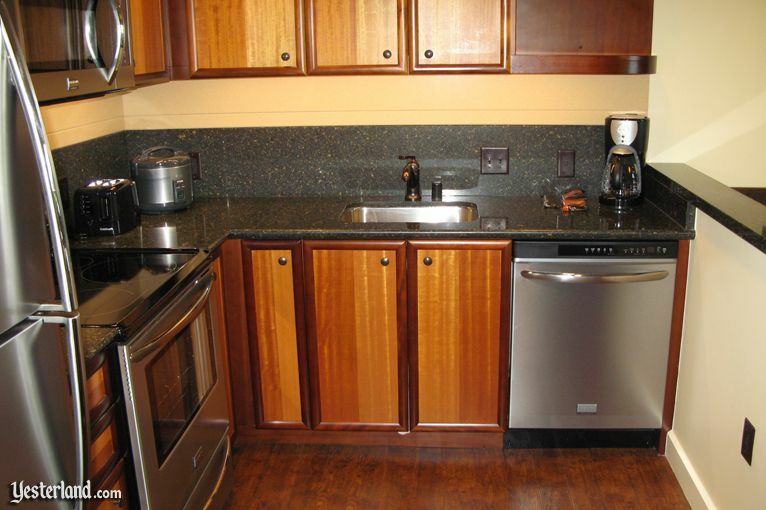 The building opened July 2010 and contains four room “bays.” Three of them simulate a two-bedroom Disney Vacation Club (DVC) villa. The fourth simulates a room in hotel portion of Aulani. The building was not a mistake. It was built to show what a DVC villa and a hotel room at Aulani will look like, long before anyone but construction workers in hardhats could enter the actual towers. Plans call for the building to be demolished in February 2011, when the models will move into one of the towers. Although its still a busy construction site, at least one corner will apparently be complete enough to allow guests escorted by DVC Guides (salespeople) to enter. It may still be necessary for tour guests to wear closed-toed shoes—and maybe even loaner hardhats. Lets take a tour of the temporary DVC villa model. 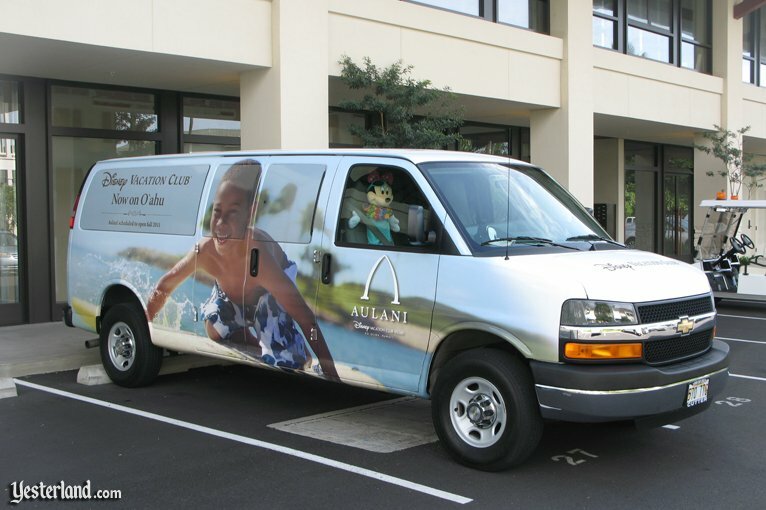 The tour begins at Aulani Preview Center in an office suite on the second floor of the Ko Olina Center shops, across the street from Aulani. The Preview Center is above the Ko Olina Hawaiian Barbecue counter-service restaurant. Its no longer quite as hard to find as in 2010, now that the restaurant finally has sign. 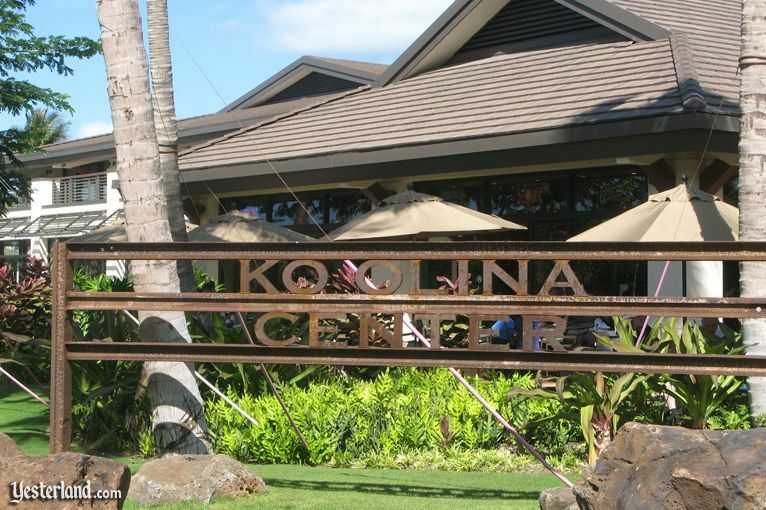 By the way, Ko Olina Hawaiian Barbecue is terrific place to have tasty, inexpensive breakfast, lunch, and dinner in a clean, friendly place—or to pick up take-out food to eat in the villa. It should be very popular with Aulani guests. 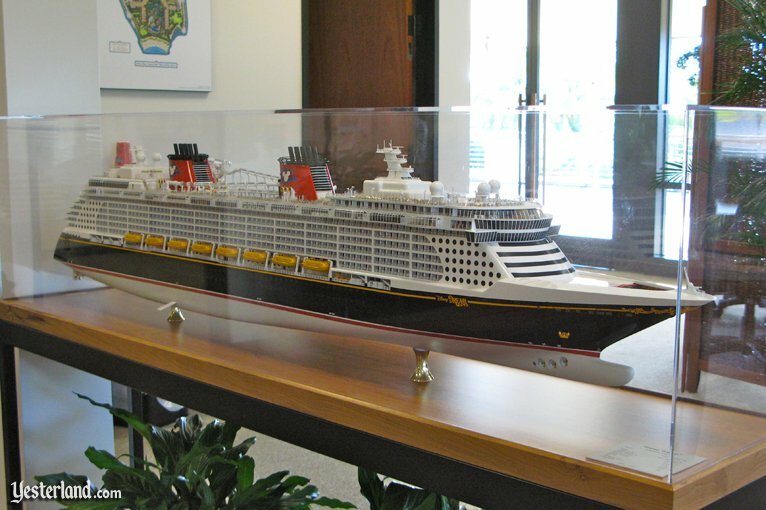 In January 2011, a large, detailed model of the new Disney Dream cruise ship—complete with the AquaDuck “water coaster”—appeared in Aulani Preview Center. Its a beautiful ship and a beautiful model. But dont get your hopes up that this means you can expect land-and-sea packages involving Aulani and cruises departing from Hawai‘i. As discussed in What not to Expect from Disney at Ko Olina, a 19th century maritime law, the Passenger Vessel Service Act (PVSA), makes it essentially impossible for Disney Cruise Line to offer intra-Hawai‘i cruises that begin and end on O‘ahu or to offer one-way between California and Hawai‘i with their foreign-built, foreign-registered, foreign-crewed cruise ships. Although a Disney spokesman wouldnt comment on any of the companys cruise itineraries beyond 2011, the [Hawai‘i] state Department of Transportation confirmed that Disney has tentative bookings at Pier 2 in Honolulu Harbor in May and September of 2012. 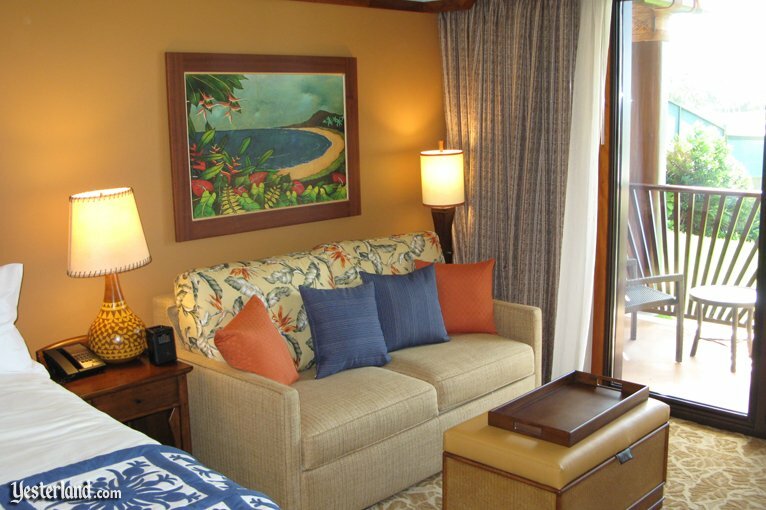 For example, Disney could offer a land-and-sea vacation package combining a cruise with a stay at its 840-room Ko Olina project. Aulani, a Disney Resort & Spa, is on track to open in the fall of 2011. The articles author apparently was not familiar with the severe limitations imposed on foreign passenger ships by the PVSA. The months of May and September are when cruise lines re-position ships between Southern California (Mexican Riviera cruises) and Vancouver (Alaska cruises). Cruise lines often makes such re-positioning cruises more attractive to prospective passengers by turning them into two-week itineraries involving several Hawaiian ports en route. In 2011, the Disney Wonders re-positioning cruises will cling to the West Coast. Based on the report in the Star-Advertiser, there seems to be a real possibility that the Disney Wonder will call on the 50th state as part of its 2012 re-positioning cruises. (As of January 2011, the schedules are not yet out.) But theres no way to combine a re-positioning cruise with a stay at Aulani—except by boarding an airplane before or after the cruise and flying roundtrip to Honolulu from the West Coast. Lets get back to touring the model. 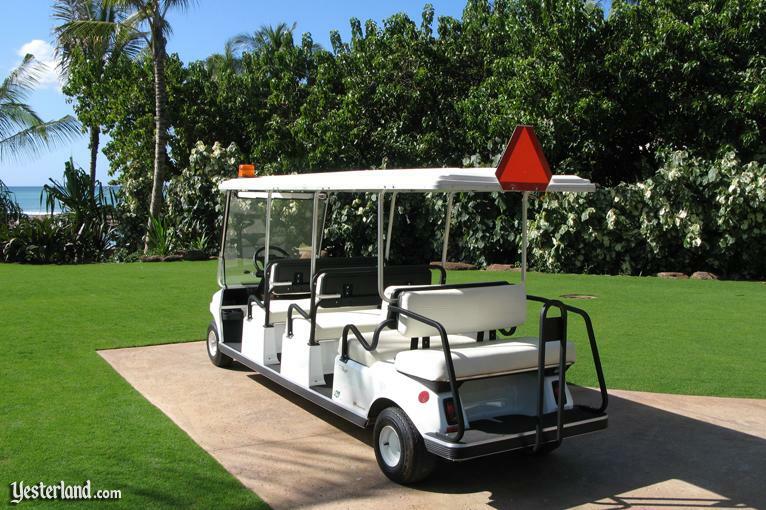 A DVC Guide drives you from Ko Olina Center to the temporary model center in a small, open-air cart. The Guide drives through a construction gate and parks near the model center. Youre not allowed just to wander in on foot. You can only enter with a DVC Guide. The grounds around the model center are nicely landscaped. Its a tiny corner of the Aulani site thats not completely surrounded by a tall, green construction wall. 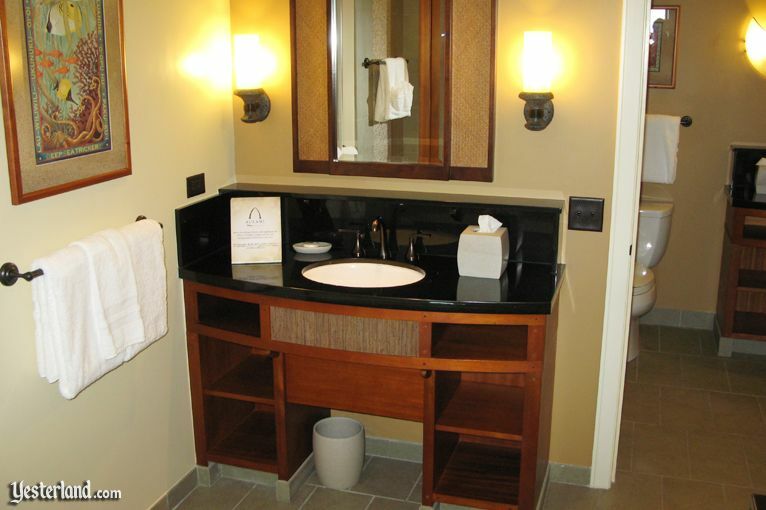 Photos dont do justice to the interiors of the villas at Aulani. It looks much better in person. Its one thing to look at a picture of a sofa or a bed; its another thing to walk through the rooms and feel how everything comes together harmoniously, how well the space is used, and how it all creates such a sense of Hawai‘i. There are details everywhere that may not appear to be Hawaiian at first glance, but are actually deeply rooted in the culture of Hawai‘i. 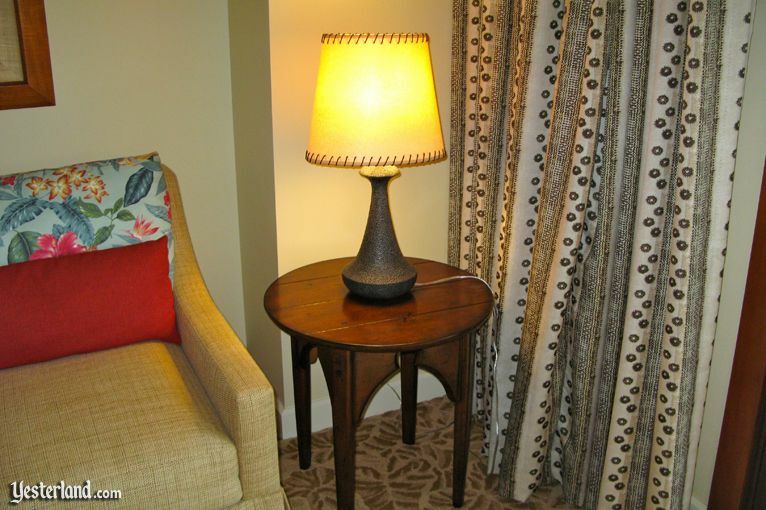 Look at the base of lamp. Its just a simple, elegant shape, right? Nope. Its actually based on a poi pounder, the stone implement used to crush baked taro root into poi, the staple Hawaiian food. These days, residents of Hawai‘i still eat poi, but now it usually comes from plastic bags bought at the supermarket. 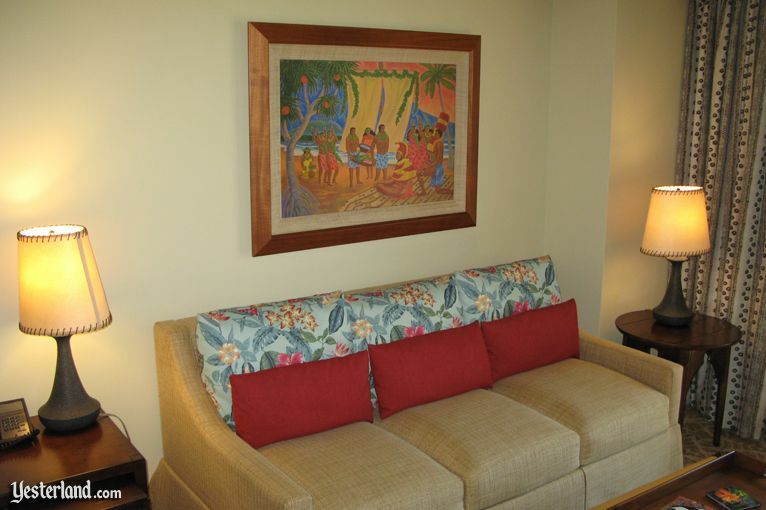 The art at Aulani is not your typical Hawaiian hotel art. 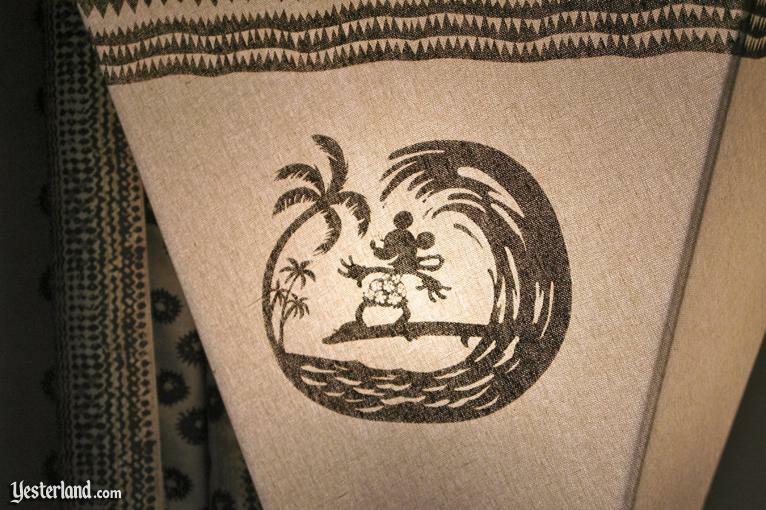 Disney commissioned 70 artists to create artwork for Aulani—paintings, carvings, sculptures, murals, fabrics, and more. Disney sought artists with a deep understanding of Hawaiian culture and outstanding skill in executing their work. 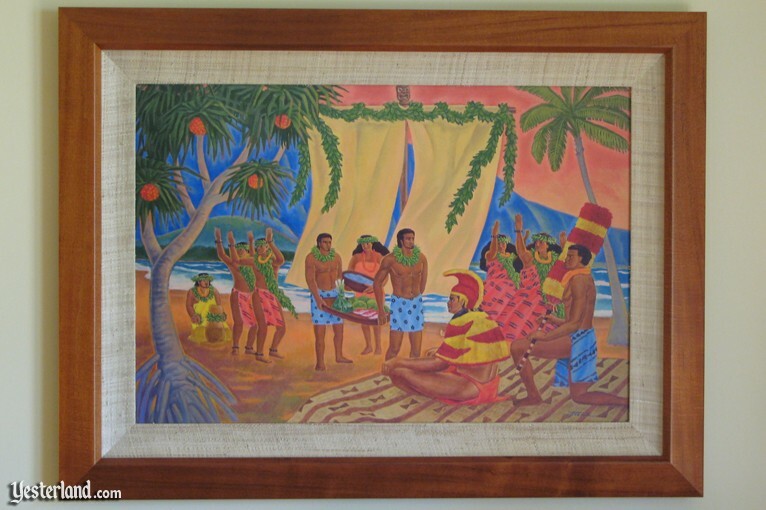 The painting above the living room sofa shows Makahiki, the ancient Hawaiian New Year festival—four months each year when Hawaiians honored the god Lono, feasted and celebrated, and when war was forbidden. 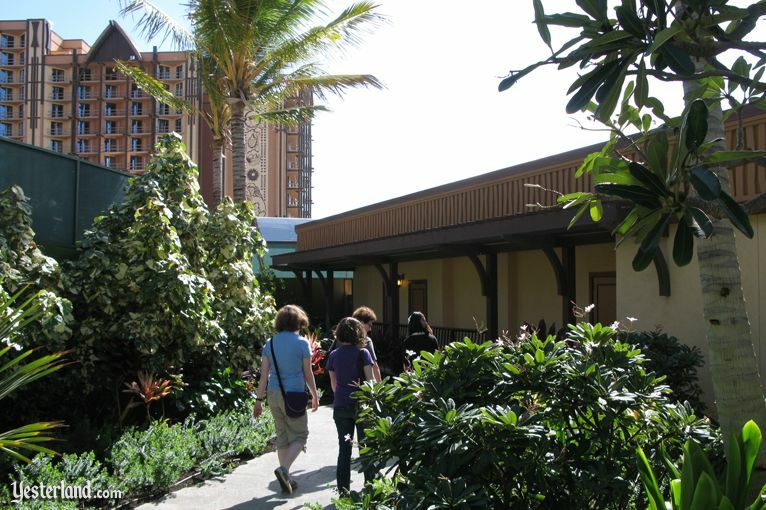 (The buffet restaurant at Aulani is called Makahiki.) Its a terrific painting on several levels. The artist, native Hawaiian Doug Po‘oloa Tolentino, is a painter, musician, and Hawaiian scholar. Sure, art and culture are great, but what about practical things? 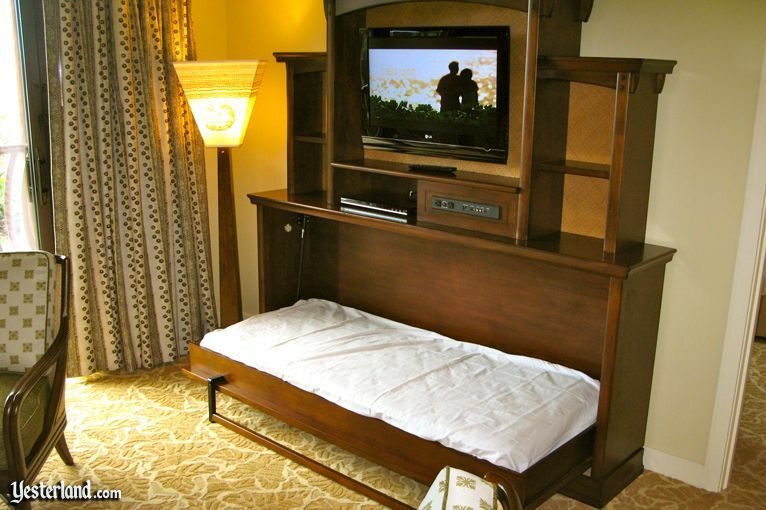 As the two photos above show, Disney has not forgotten that children often sleep in the living rooms of DVC villas, while Mom and Dad get the private master bedroom. 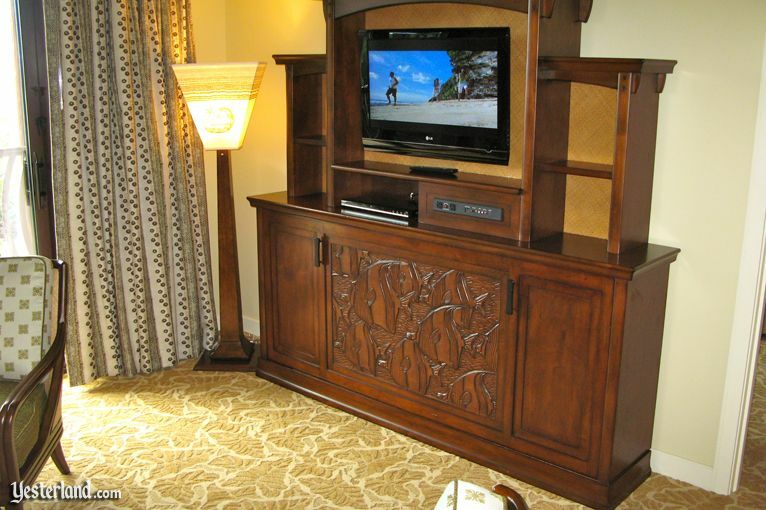 The living rooms at Aulani sleep three comfortably. 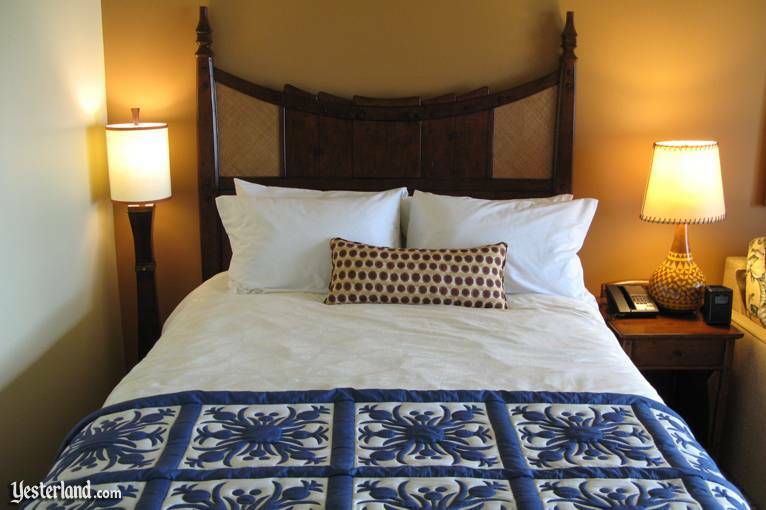 The sleeper sofa has a thick, comfortable mattress for two, and another bed folds out below the flat-panel television. Disneys respect for Hawaiian culture doesnt mean theres no room for fun. Minnie Mouse shows off her one-piece bathing suit, her lovely eyelashes, and her skill at surfing the Banzai Pipeline on the North Shore of O‘ahu. Yes, there are even hidden Mickeys. 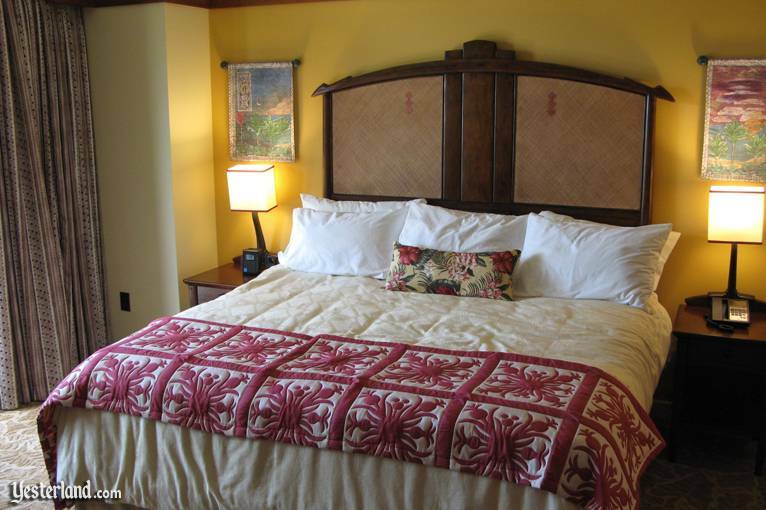 The bed scarf celebrates Hawaiian quilts while also satisfying hidden Mickey fans. 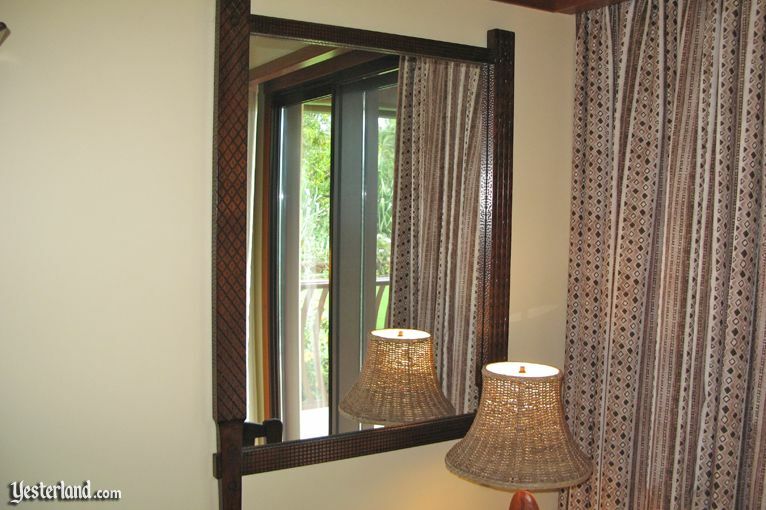 The frame of the master bedroom mirror is based on tapa beaters, tools used to beat bark into cloth. 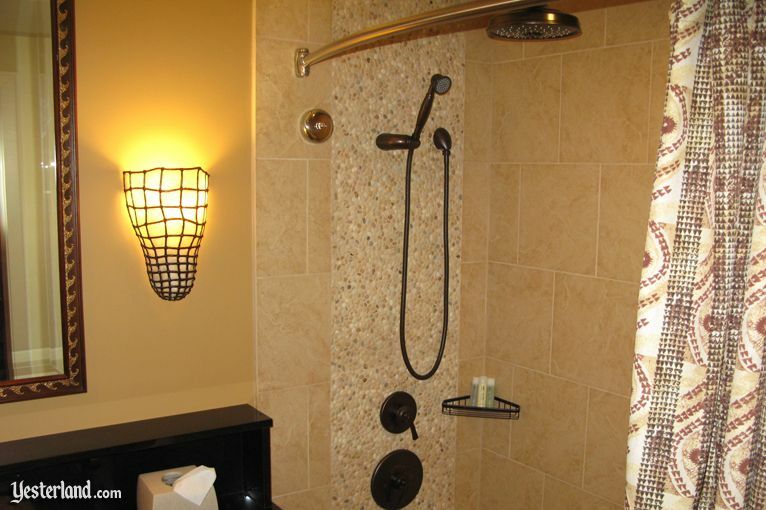 The master bathroom has an upscale look. Theres a large tub (although not nearly as large as the whirlpool tubs at Disneys Old Key West Resort) and a separate shower. 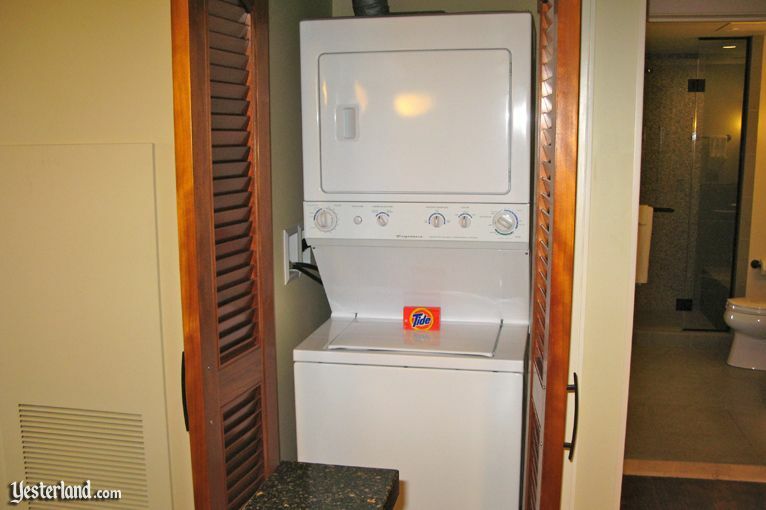 It would not be an ordeal to stay in the lock-off guest suite (studio) portion, especially for just two people or two people with one child. 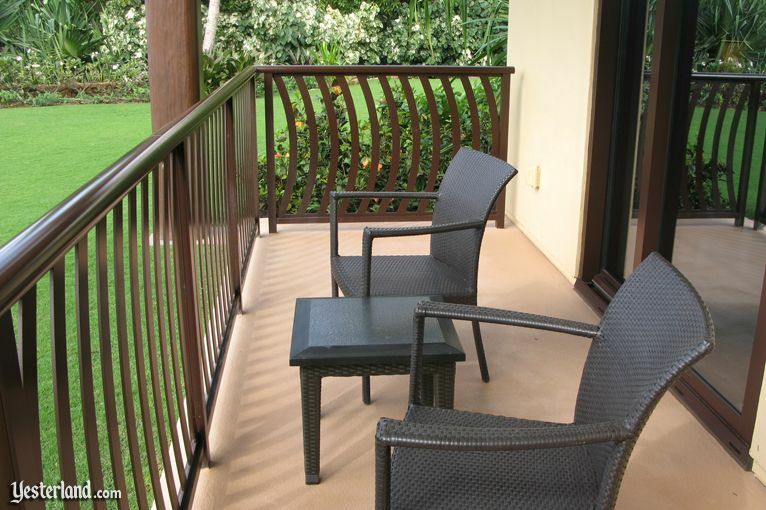 Continue your tour with the guest suite, guest bathroom, kitchen, and lanai. Theres a DVC kiosk at Ala Moana Center, the huge and popular open-air shopping mall near Waikiki. You know how timeshare developers bribe people to listen to timeshare pitches by offering $100 gift cards, free dinners, and other valuable premiums? 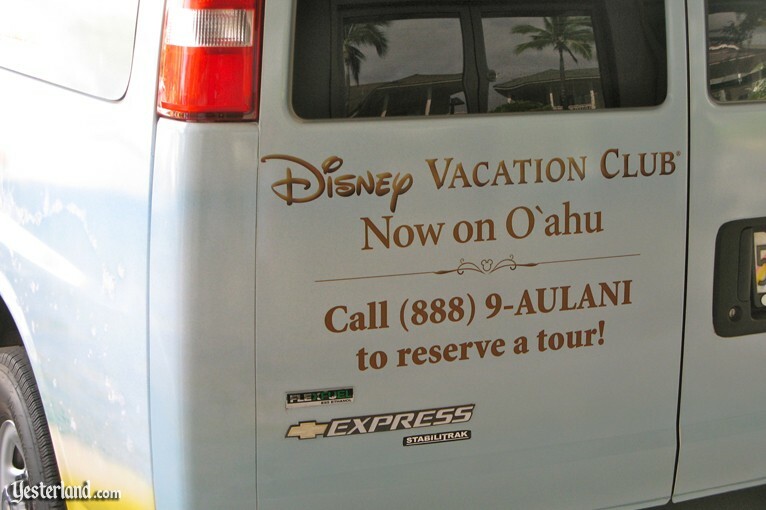 Theres enough interest in Disney that people are willing to ride in a van from Ala Moana to Aulani just to see the models and to learn about the DVC program. The executives who run Marriott Vacation Club, Wyndham Vacation Resorts, and Hilton Grand Vacations Club must be jealous. Photographs of Aulani, a Disney Resort & Spa, Ko Olina, Hawai‘i: January 2011 by Werner Weiss.